Hello..., are you play farmtown on facebook? if you like this game too I have some tips for you to build a beauty farm also upgrade your level easy. If You a new player on this cute game and not addict yet, best suggest for You to try my method to play farmtown. On farmtown you can do some job from other user, when the job finished you will get some money (coin). To got a job you can ask the other play to hire you for a job like; plow, harvest or fishing. In farmtown you can hire another player to harvest your plant, plow your field or chopper your three, on the market of farm toe we also can trade with other player. Price of hay bale only 50 coins, so with buy this item as much as you can, you will up to level 8 on the first time play this game. 2. 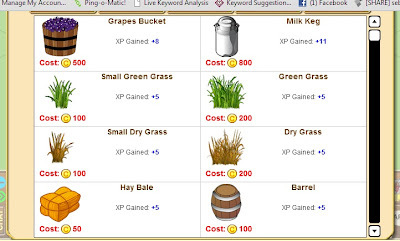 After out all of your coin for buy hay bale, now delete all hay bale from your farm you will got cash back cause that activity, and buy hay bale again. That’s all my way to up level on this game. Moreover, farmtown is addict game when someone got the best way to play this game.